No matter how good the newest crop of Geneva supercars look, they can never be as outlandish as this. The Geneva Auto Show is a festival of horsepower and design freedom, the likes of which is rarely seen elsewhere in the world. But if you think that’s restricted to those with business cards and job titles under large automakers, you’re wrong because large tuning companies enjoy bringing their best and brightest creations to the world stage too. FAB design has done just that, lugging a few modified examples of some of the world’s most desirable cars to the show to tan under the showroom floor spotlights. 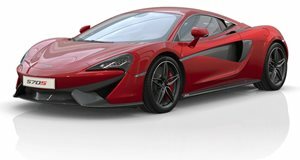 The most eye-catching of the bunch is the modified McLaren 570S on display. Dubbed the Project Vyala, this McLaren gets a host of visual upgrades that leave us foaming at the lips in rabid lust. While the 3.8-liter twin-turbo V8 engine has been untouched, making the same 570 horsepower and 442 lb-ft of torque, the body has been redone, gaining air intakes on the front bumper, aero blades in the door, a Pagani-like roof scoop, a custom exhaust, and a rear wing with an engine cover among other things. FAB Design also made sure to bring another McLaren creation to the show in the form of the Mercedes-Benz SLR McLaren. It’s V8 engine makes 750 horsepower and an avalanche-inducing 774 lb-ft of torque. The exterior modifications back up the bite with a sonorous bark enabled by carbon everything including bumpers, a front and rear diffuser, set door applications, and a lowering kit to top it off. Inside we see a custom black and blue interior with diamond stitching on the seats. 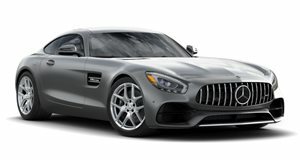 Also in attendance is a custom Mercedes-AMG GT called the Project Areion that gets a wicked and widened body kit a greenish-grey hue of matte paint, custom rims, and a rear wing to compliment. 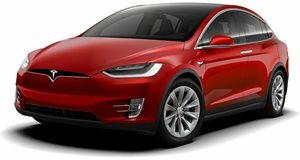 Electric cars also got love from FAB design with a blue Tesla Model X called the Project Virium making an appearance. It comes with a custom body kit featuring flared wheel arches, a rear diffuser, a new front end, and 23-inch wheels. Suffice it to say, we're in love.